If you make sure to have your garage door professionally maintained, you'll be able to keep using it for a lot longer than what you might expect. Some wear and tear is inevitable, but with the service that our company provides, it will be significantly reduced. This will also save you money on more costly and complex repairs. Because these devices are under a lot of tension every single day, it's only natural for them to require some TLC every now and again. Tiny cracks and tears will gradually develop along their coils, which will affect their performance and eventually lead to them breaking. Our technicians will check whether spring replacement is due or not, and lubricate these components to ensure they're able to work more smoothly and quietly. Considering how this unit is both the 'brains' and the 'brawns' of your garage door, making sure its safety features are working properly is very important. We will test the photo eye sensors to make sure their alignment is precise and that they're able to detect obstacles properly. We'll also check the door's reversal mechanism and fix it if it fails to reverse when it's supposed to. Your tracks and rollers won't be neglected, of course. We'll make sure your door is properly aligned and that it's movement is smooth and silent. We'll lubricate the rollers and repair any minor damage to the tracks we discover. We'll also inspect the panels and fix any dents and cracks they've picked up. This will help preserve the curb appeal of your door, as well as its security and insulation. To contact us, you don't have to call (although we always answer when people do) you can simply use our online system to schedule an appointment with the click of a button. 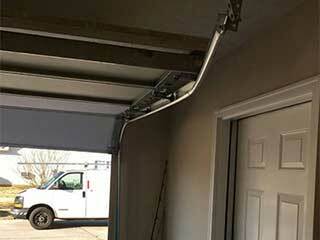 Our team at Garage Door Repair Folsom is here to help you with whatever you need.